With limited food choices in Ballina, we trusted TripAdvisor with our breakfast selection. 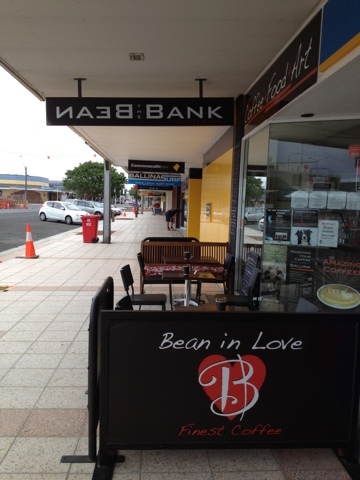 No.1 on the list was The Bean Bank, boasting the best coffee in Ballina. A convenient, short walk from the hotel, The Bean Bank is a small and unassuming cafe with signage promoting ‘Bean in Love’ coffee beans. Thankfully it was open on a public holiday, but there was a 10% surcharge on coffee and meals. 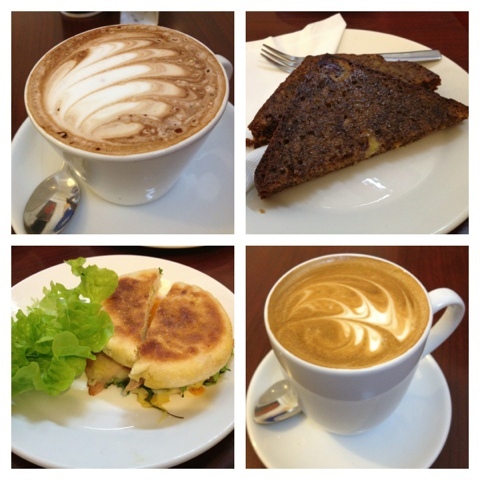 We ordered Toasted Banana Bread ($5.50), Ham Egg Cheese and Rocket English Muffin ($6.50), Regular Mocha ($3.70?) 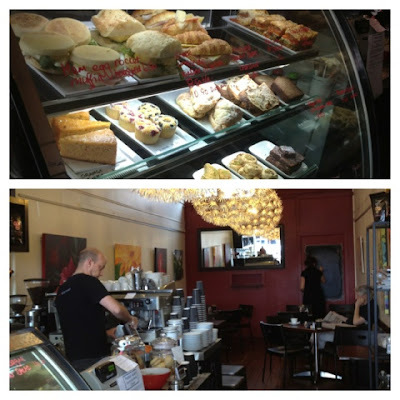 and Large Flat White ($4.20). I loved the Mocha but D found the Flat White to be a bit light. As for the Banana Bread, it was yummy, rich and buttery! Not what you would call as a healthy breakfast, but oh well, we were on holidays! The muffin was pretty good, lifted by the fact that the yolk was still soft & runny – why can’t others do this?! ?